Video, no doubt, is able to catch immediate attention of the viewers rather than a bunch of plain text. The medium (video) is also able to offer a better presentation about the content. However, the video comes with a disadvantage that it takes huge space for storing and also requires more bandwidth for streaming. • Adopting cube format in place of equirectangular layouts (this reduces the file size by 25%). 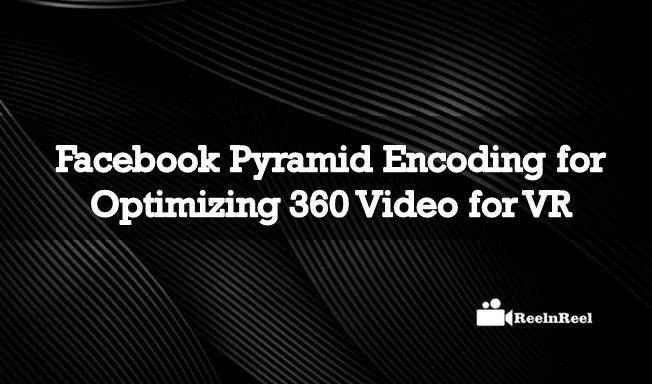 • Encoding 360 videos with a pyramid geometry (reducing the file size by 80%). • View-dependent adaptive bitrate streaming for optimized VR experience. The above steps enabled reduction of file size and also avoided the buffering wait for the viewers. Another technique adopted by Facebook in this regard is Pyramid Encoding. What is Pyramid Encoding? Pyramid Encoding is another step adopted by Facebook to reduce the file size of VR videos. It is a two-step process.In the first step, the base of the pyramid is the full resolution FOV, and the sides of the pyramid gradually decrease in quality.In the 2nd step, the 36 degrees VR Video transformed to the pyramid format for each of the 30 viewpoints.There are a total of 150 different versions of the same video giving five different resolutions for all 30 viewpoints.Then the pre-generated video is stored on the server. This process is a simple server-side set up avoiding the requirement of additional software. Then there is a programming to decide which stream to fetch next depending on the viewer’s network conditions and other parameters.However, the long waiting (buffering)no more required at the viewer’s end.This way Facebook can offer a solution for a big problem (of higher storage size and greater bandwidth) for streaming 360 degrees VR.